Senior music composition and audio engineering technology double major Shelby Blalock has had her fair share of recognition lately for her work as a young classical composer. Blalock’s piece for solo piano, “Agitato,” was recently selected by Tribeca New Music as one of the top compositions in the nation by composers who are 21 and under. Both composition and quality of recording factored into this award, which allowed Blalock to put both of her fields of study into practice. On March 3-4, Blalock represented Belmont at the inaugural Music by Women Festival at Mississippi University for Women, where she was the only undergraduate composer to present. The conference featured women music school faculty from across the country. Additionally, Blalock was among only 16 young composers nationwide to be invited to attend the Fresh Inc chamber music festival this June and among 40 young composers nationwide to be invited to attend the Atlantic Music Festival this July. She has had her original compositions performed at the Nashville Composer Collective, the Nashville Chamber Music Series, the Charlotte New Music Festival and the Wintergreen Summer Music Festival. 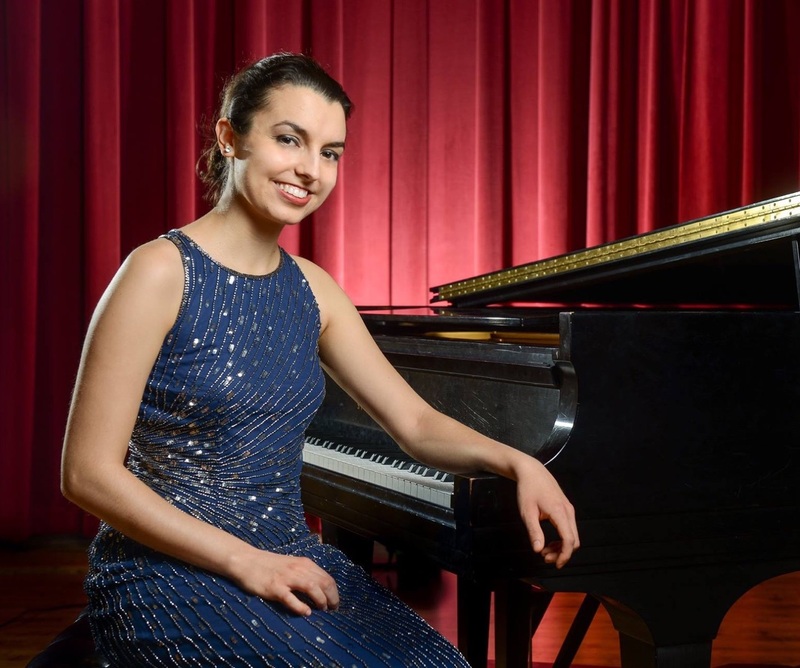 She won the Nashville Philharmonic Composition Competition last May, which resulted in her work, “Out of Ashes,” being performed by the Nashville Philharmonic Orchestra at its Titan Finale Concert. “Out of Ashes” was also performed by the Belmont University Orchestra as part of its Classical Performers Concert on March 27. Blalock is a past winner of the Ron and Donna Huff Scholarship for composition in the School of Music. She has a solo piano album, titled “Airborne,” which she composed, performed, recorded, mixed and mastered, available on her website.